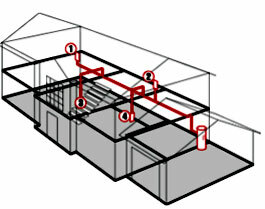 Complete Security and Sound can install a built-in Central Vacuum System for you. Most of these systems are installed in new construction homes, but sometimes we can retrofit a new system in your existing home. 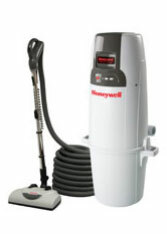 A Central Vacuum Systems takes the dirt and dust out of your home and transfers it to a canister in the garage or a storage room leaving your home cleaner. Central Vacuums are five times more powerful than most conventional upright vacuum cleaners. Unlike conventional vacuums that can recirculate dust, a Central Vacuum System removes 100% of contacted dirt, dust mites, pollen, dander and other allergens and carries them away from living areas—to help improve indoor air quality. Research has proven that a Central Vacuum System provides measurable relief for allergy sufferers—as much as 61%! A Central Vacuum System makes for a cleaner home and healthier living, even if you don't suffer from allergies. We also service existing Central Vacuum Systems. Call Complete Security and Sound today to discuss you Central Vacuum needs.